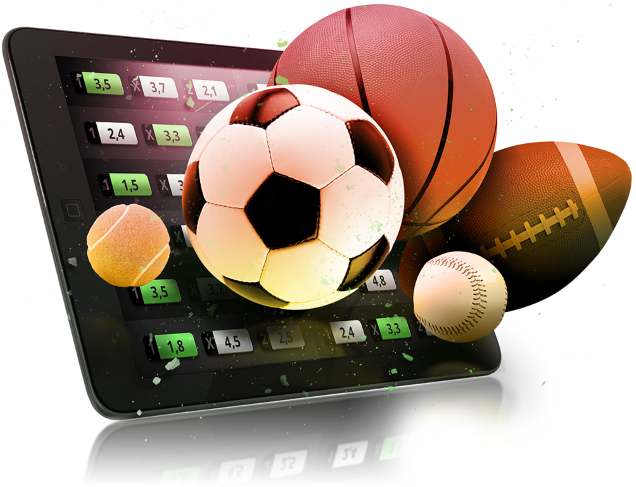 There are a lot of ways to bet on a sporting event and the types of betting markets available vary by sport. In this guide, we’re going to look at some of the most common ways to bet on sports. The “money line” is a bet where you simply bet on a team or player to win. In tennis, betting on Sharapova to win her match is called a money line bet. Another example is betting on the Patriots to beat the Steelers. In order to win a money line bet, your team/player just has to win. Read our guide on money line bets to learn how to understand the odds if you’re new to sports betting, as the bet is explained in more detail. Another way to bet on a team, primarily in the NFL or NBA, is against the point spread. A point spread attempts to make a match even. An example would be the Patriots -8.5 (-110) vs. Raiders +8.5 (-110). NE would need to win by 9+ points to cover ATS and win the point spread bet. This is the most popular way to bet on the NFL and NBA. The money line is the more popular way to bet on MLB and NHL, though. Soccer is a bit different. One of the most common market in soccer is called the 1X2 market, which is a bet type where you can bet on either team to win or on a draw. Asian handicaps are also extremely popular. Asian handicaps take the draw out of the equation by adding a handicap to a team. If Manchester City are -0.50 AH it means they need to win their match by a goal. If they draw or lose, the bet loses. The over/under or goal total market is the most popular goal betting market. For example, in the NFL, NBA, MLB or NHL, you can bet on the over/under, which is where you predict how many goals will be scored. If the over/under is 43.5 in an NFL game, over bettors win if both teams combine to score 44 points, while under bettors win if both teams combine to score 43 or less points. It’s that simple. In tennis, you can bet on the over/under on how many sets or games will be played in a match. Betting on over/under markets is one of the most popular ways to bet on sports. You don’t have to worry about predicting the winner, you just need to predict how many points or goals will be scored. Futures are a common bet for fans, as it gives them more bang for their buck. An example would be betting on a team to win the NFL Super Bowl before the season starts or betting on who will win March Madness. You can bet on a couple teams and have action on the entire season with little risk. Some futures bets don’t last as long. For example, each week during the NASCAR season, you can bet on the outright winners market. Props are a fun way to bet on sports and the lines are loose. In fact, most bookies release a standard juiced line on props and then move the lines accordingly based on the action they receive. Want to bet on an NFL player to score a touchdown or on an NHL player to score a goal in a game? These are the types of prop bets you can wager on at various sportsbooks.